Millions of Muslims gather every year in the holy, Saudi Arabian city of Mecca for Hajj –- a pilgrimage that includes a series of specific rituals carried out by the Prophet Mohammad nearly 1,400 years ago. 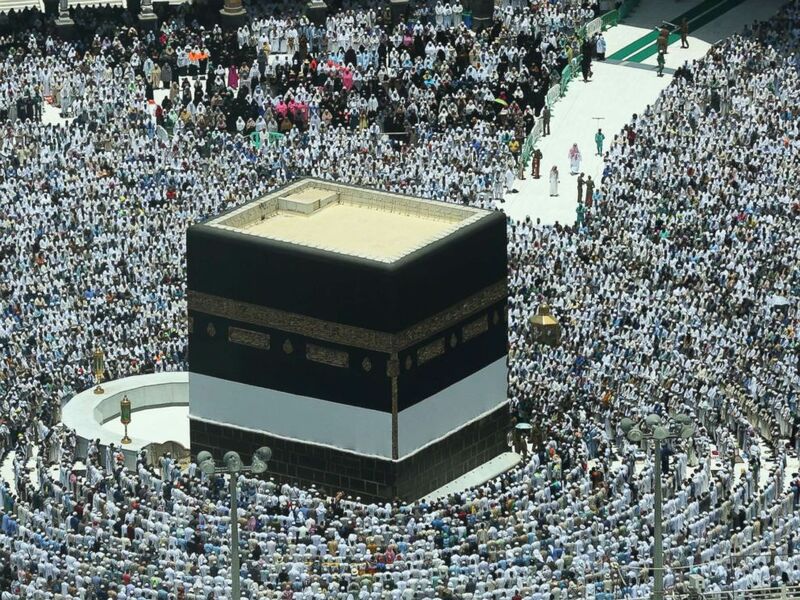 Hajj takes place from Aug. 19 to Aug. 24 this year. But what are the steps of Hajj and why is it significant? The date of Hajj is determined by the Islamic calendar. It takes place in Dhul-Hijjah, which is the 12th month of this calendar between the eighth and 13th days of the month. The Islamic calendar is based on the lunar year, which is shorter than the Gregorian year. This means the date of Hajj changes from year to year in the Gregorian calendar, which is used in the West. Muslim pilgrims touch the Kaaba stone, the cubic building at the Grand Mosque, as they pray ahead of the annual Hajj pilgrimage in the Muslim holy city of Mecca, Saudi Arabia, Aug. 17, 2018. Completing Hajj at least once in a lifetime is considered obligatory for Muslims who have the financial means and are healthy enough to carry out the pilgrimage. Hajj is one of the five pillars of Islam –- actions that are viewed as the foundation of Islam. 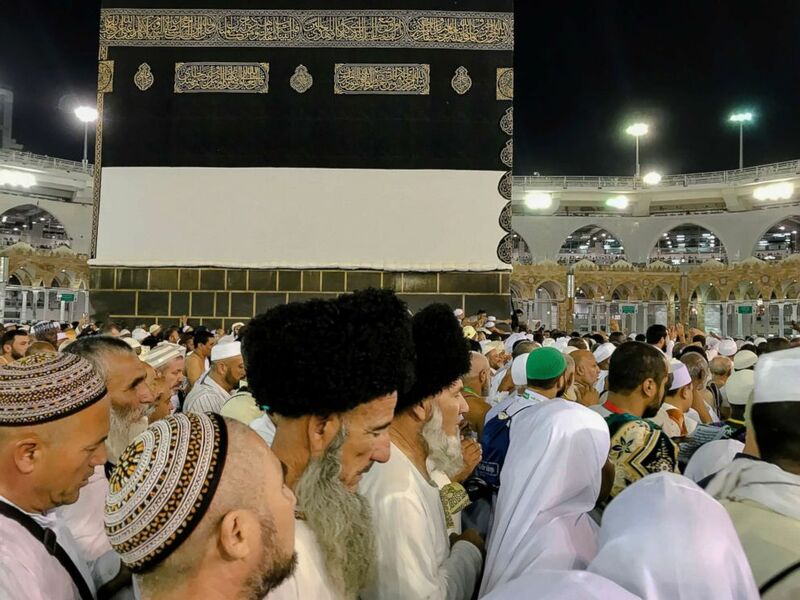 What is the difference between Hajj and Umrah? Hajj has to take place between the eighth and 13th days of the month of “Dhul-Hijjah,” the 12th month of the Islamic calendar year. If the same pilgrimage is carried out at any other time of year it is called Umrah. What are the steps of Hajj? In this state, pilgrims declare their intention, or “niyah” in Arabic, to carry out the Hajj. Ihram is meant to show that all pilgrims are equal in front of God. When men are in this state they have to wear white unsewn clothes, usually two pieces draped around the body; women wear loose clothing that covers their bodies except for the faces and hands. Pilgrims carry out Tawaf, a ritual in which they walk counter-clockwise around the Kaaba, which is a sacred cube-shaped building covered in black, gold-embroidered silk. The Kaaba is located in the Great Mosque of Mecca, also known as Masjid al-Haram. When carrying out the Tawaf ritual, pilgrims walk around the Kaaba seven times. If they are close enough to it, pilgrims also touch and kiss the Kaaba, which is the most sacred site in Islam. After completing the Tawaf ritual, pilgrims walk or run seven times between Safa and Marwah, two hills near the Kaaba. After the morning prayer, pilgrims travel to the city of Mina -- by foot, bus or car -- and spend the day there praying. They spend the night in Mina. The second day is called the Day of Arafat. Pilgrims spend the day praying at Mount Arafat, a hill east of Mecca, also known as the Mount of Mercy. According to Islam, the prophet Mohammad gave his last sermon at this hill. After the sun sets, pilgrims head to Muzdalifah, an open space near Mecca. They pray here and collect pebbles that they will later use for a ritual known as Stoning of the Devil. Muslim pilgrims circle around the Kaaba, the cubic building at the Grand Mosque, ahead of the annual Hajj pilgrimage, in the Muslim holy city of Mecca, Saudi Arabia, Aug. 17, 2018. Pilgrims stay at Muzdalifah until right before sunrise. They then go to Mina, where they start the ritual of throwing seven pebbles at the largest of three pillars called Jamarat. The act symbolizes throwing pebbles at the devil. It is based on the story of how God told Abraham in a dream to sacrifice his son. A devil tried to tempt Abraham to disobey God. Abraham then threw pebbles at the devil. But when he was about to sacrifice his son, Abraham realized that God had replaced the son with a sheep. So he slaughtered the animal instead of his son. The point of the story is that God never wanted Abraham to slaughter his son -– God was just testing Abraham. After throwing the pebbles, pilgrims have to slaughter an animal -- usually a sheep, like Abraham did -- or they can pay someone else to do it for them. This happens on the day that Muslims worldwide start celebrating Eid al-Adha, an Islamic holiday. After the sacrifice, men carrying out the Hajj shave their heads. Pilgrims then go to Mecca, where they carry out the tawaf again, either the same day or the following day. Muslim worshippers pray around the Kaaba, Islam's holiest shrine, at the Grand Mosque in Saudi Arabia's holy city of Mecca, Aug. 16, 2018, prior to the start of the annual Hajj pilgrimage in the holy city. The ritual of stoning the pillars in Mina is repeated. Pilgrims can then return to Mecca before the sun sets. 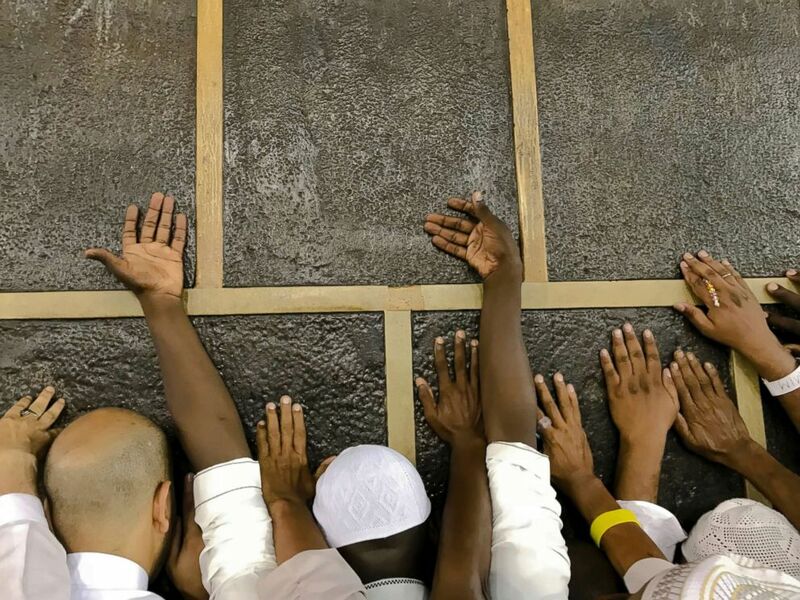 Before leaving Mecca, pilgrims repeat the tawaf ritual one last time. Pilgrims who stayed in Mina repeat the stoning ritual before heading back to Mecca and carrying out the tawaf ritual. What is the history of Hajj? The specific steps of Hajj are the same as the ones carried out by the Prophet Mohammad in 632 A.D. in what is known as his “farewell pilgrimage.” But the Kaaba was a sacred site before Islam. The tradition of carrying out pilgrimages in Mecca predate Islam as well. Before the spread of Islam, Bedouins used to make pilgrimages to Mecca and worship their Gods at the Kaaba.